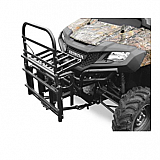 The best selection of UTV Accessories and Side by Side accessories for the most popular UTVs. UTV cabs, gun racks, UTV storage, winches and more. UTV accessories for your Rhino, Mule and Ranger. We have Roofs, Radios, Rims and Tires and more! Shop for UTV Accessories at Extreme Motor Sales. 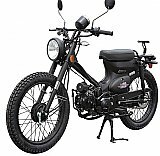 In addition to UTV Accessories, we have the best prices on dirt bike, ATV and motorcycle parts, apparel and accessories and offer excellent customer service.